Small groups, life groups, community groups… Sunday School. These are all names for a group of Christians who gather together regularly for fellowship, prayer, relationship, and Bible Study. Some churches have them in homes. We have them on campus each Sunday morning at 9:00 am. We want every member of CHBC to partner with a Sunday School class for teaching, outreach, and ministry. Each week when our Sunday School classes gather, they do so around God’s Word. Many of our classes use curricula that can be used to help non-Christians be introduced to the Christian faith while simultaneously teaching and challenging seasoned believers. In these small group settings, people are able to hear God’s word taught, ask questions, and grow to know Christ more. Because Sunday School classes are small and relational, it’s a great way for someone who is new to CHBC to begin forming relationships. If you’re thinking about inviting someone to come to church with you, bringing them to a Sunday School class might be the place to start. 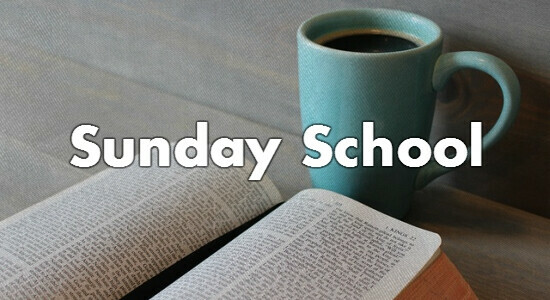 Sunday School is place where someone can interact with the teacher and other attenders and ask questions. Sunday School is more than a teaching time; it’s a place where real people give and receive real ministry. If someone is sick, the class is normally the first to hear and the first to step up and provide meals and care. Needs and concerns are prayed for. Burdens are shared and shouldered amongst the class. Baby showers are given and funeral meals provided. We hope to see you on Sunday at 9:00 am!